J.V. 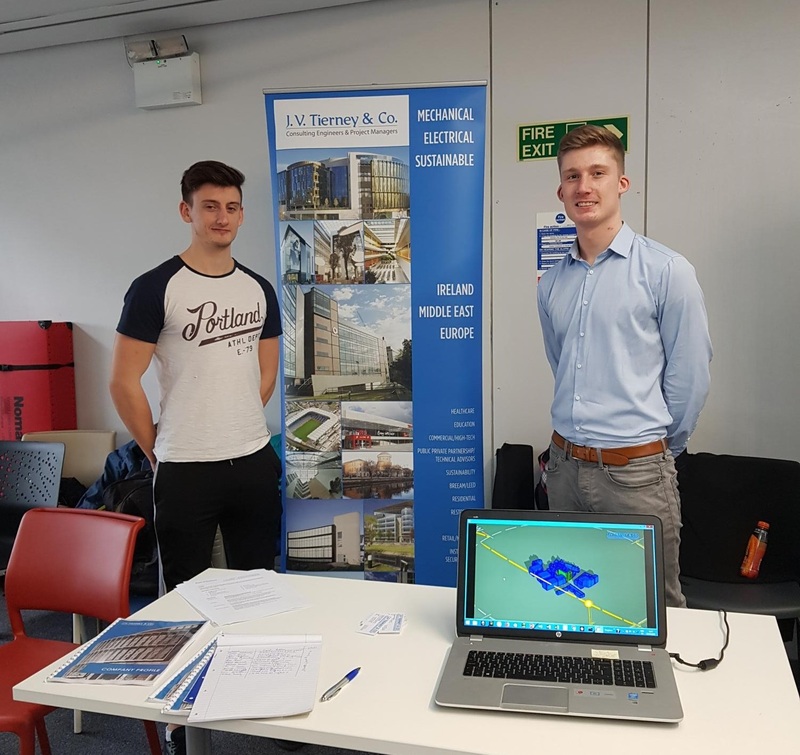 Tierney & Co. were delighted to participate in the careers fair for Building Engineering at TU Dublin, Bolton Street. Two of our current 4th year Interns Paraic and Eoin (Pictured Above) joined us at our stand. It was great to meet the Building Engineering Students and we look forward to discussing these career opportunities over the coming weeks. JVT wish to also thank the TU Dublin Team for organising the event.